This page has all the events that took place in 2019. Bookmark this page and return to get information about 2020&apos;s events! Immerse yourself in the swing-dancing lifestyle for four whole days with Monterey Swingfest at the Hyatt Regency Monterey! Learn from the best, with intensive classes from West Coast Swing pros Benji Schwimmer, Robert Royston, Kyle Redd and Sarah Vann Drake. Show off your skills in the dance contests on Friday, Saturday and Sunday night, and cut loose every day with open dance sessions. With programming on most days going from 10am until the wee hours of the morning, you&apos;re sure to wear out the soles on your dancing shoes! The majority of the workshops at Monterey Swingfest focus, fittingly, on the official state dance of California, West Coast Swing. There&apos;s a class for every level, from beginners to advanced. Dance professionals from the world of West Coast Swing will teach a number of sessions separately and together. The fun doesn&apos;t end if you don&apos;t make it to the Champions round in the contests! Open dancing will be held daily at various times. Don&apos;t miss a minute! The cost for five packed days of workshops, dancing and contests is only $139 if you register online before December 28, and $159 after December 28 and at the door. Other dance packages are also available. Monterey Swingfest is held at the Hyatt Regency Monterey. Special hotel rates are available to Swingfest attendees. 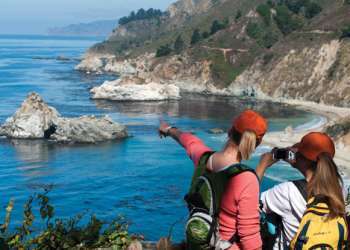 Several hotels are conveniently located in Monterey and walking distance to the event including Swingfest&apos;s host hotel, the Hyatt Regency Monterey.